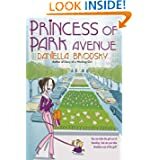 Daniella Brodsky is the author of six novels published by Penguin, Random House, and Simon & Schuster, one of which has been adapted by Disney as the film, Beauty & The Briefcase, starring Hilary Duff. Daniella teaches at ANU’s CCE and and at her Captain Cook Studio. 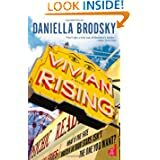 A native New Yorker, she lives in Canberra, where she is writing her next novel, The Book Code, which has been awarded a 2012 Varuna fellowship. A. I am fascinated by just about everything, and in my writing these days (a long way from Park Avenue!) this seems to come out in two main themes: what makes us who we are, and the many ways in which stories affect our lives. A. I couldn’t be anything else. Even when the writing doesn’t come easy (this happens sometimes! ), it all feels right. It’s the constant learning—about both life and the craft of writing—that makes the whole endeavor fascinating. A. The business of selling books via agents and publishers. The whole thing is offensively outdated and tipped against the interests of the authors. But the amazing news is that people like you—who are democratizing the book industry—are changing the face of everything to strike a more natural balance. It really is becoming about the most important thing: the books that readers want. A. I teach a lot of writing courses, but I couldn’t do that without writing. It really is a chosen calling. If I had to go off and make some cash, I’d do something, anything, but I’d still wake up in the morning and write. A. Wow that’s a difficult question!!! The Unexpected, most likely. A. Impossible to answer. I love so many books and read all the time—of all types and by all different authors. Some of my current favorites are Lorrie Moore, Malcolm Knox, and Jennifer Egan. A. I wouldn’t say I’m too much like any character, reason being that characters are composites, most often, and as soon as they come alive, they’re as individual as we are. But I will say this: when Bridget Jones’s Diary first came out, back in the nineties, I remember being blown away by finally reading an adult book that seemed to be so truly and authentically about people like me. The fact that readers found that kind of character and story fascinating certainly had an effect on my writing. A. None, truly. You may start with a personal feeling or conflict and filter their experiences through the lens of our own, but the truth is, us real folks don’t actually make for compelling fiction, and even if we did, our character—once we’ve fleshed her out—wouldn’t want us interfering. A. Summer! And thankfully, I now get to live in Australia, where that lasts a lot longer. A. I’ll never forget my first book reading. My whole family came, and all my friends. Krispy Kreme sponsored it (yum!! ), and I couldn’t have been more nervous/excited. I had just published the book, but there was already one reader who had emailed me and told me she was a fan. She came to the event. And so the whole night my family kept going up to me and saying, “Have you seen your fan?” It was so funny—having only the one!!! Times have changed, and for that I’m so grateful—especially to her! She was the first. A. Yes. 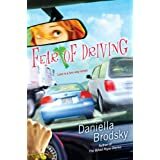 It’s called The Book Code, and combining those two themes I mention above, this is the story of a family matriarch who decides to stop speaking. Instead, she will only communicate with her daughter through a cherished storybook they had spent so much time reading together years before. Everyone wants to know why, and in the process we learn about the power of language, of story, and just what it is that makes it so personally evocative to each of us. A. Good on you for investigating what books are out there—and not simply relying on paid promotions on amazon, or the highly-publicized books (about one in a thousand—non-scientific figure) that actually get covered in the mainstream media. 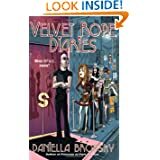 It is YOU who will change the face of fiction offerings, and that will have a wonderful impact on the kind of artistic freedom novelists can finally enjoy. Thank you! I just applied to be part of World Book Night. I hope I am selected to be part of this wonderful event to get people to read! I will keep you all posted! Fingers Crossed! We need book-loving volunteers to fan out across America on April 23, 2012! Just take 20 free copies of a book to a location in your community, and you just might change someone's life. Please sign up by Feb. 1. The goal is to give books to new readers, to encourage reading, to share your passion for a great book. The entire publishing, bookstore, library, author, printing, and paper community is behind this effort with donated services and time. The first World Book Night was held in the UK last year, and it was such a big success that it's spreading around the world! Please volunteer to be a book giver in the U.S. Sign up now to be a book giver. The first World Book Night was held in the UK last year, and it was such a big success that it's spreading around the world! Please volunteer to be a book giver in the U.S. Sign up now to be a book giver.World Book Night is an annual celebration designed to spread a love of reading and books. To be held in the U.S. as well as the U.K. and Ireland on April 23, 2012. It will see tens of thousands of people go out into their communities to spread the joy and love of reading by giving out free World Book Night paperbacks. This site exists in order to learn more about World Book Night and to keep updated on new developments – and most important, to register to be a World Book Night U.S. book giver. Well, for this review I am not sure where to start. I truly enjoyed SOMEBODY ELSE'S LIFE, but it was an emotional read. The story starts a short time after Rosie's mother, Trudie, dies from Huntington's Disease. Rosie, still grief stricken by her mother's death, is then devastated by news that will change the entire course of her whole life. For months, Rosie watched her mother deteriorate before her eyes all the while wondering if she would meet the same end. 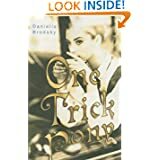 SOMEBODY ELSE'S LIFE takes you on a journey from England to the United States in search of the some hard learned truths, choices and consequences. I found myself engulfed in this book. I felt personally invested in the outcome of the story. 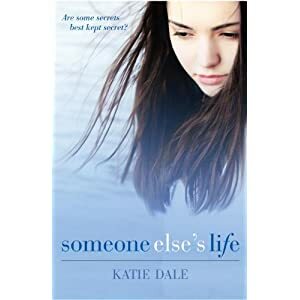 Katie Dale has been compared by some to Jodi Picoult. There is a level of truth to that comparison. I love books that tackle the hard subjects and inform at the same time. I highly recommend SOMEBODY ELSE'S LIFE. An American poet. One of the foremost poets of the 20th century. NOTE: I love birds. I love the freedom they represent. I love that there are so many different kinds of birds. I never tire of seeing bald eagles flying by the river or a chance sighting of an owl. There is beauty in nature and if we all took of few moments to notice we would all be a bit happier. Enjoy! Although birds are everywhere, too few people own an ornithological book. This particular genre owes much to The Birds of North America (1827-1839) by John James Audubon. It is the most famous of all ornithological works and in December 2010 a copy sold at auction for $11.5 million - a record price for a single printed book. Audubon’s paintings are considered a high point of book art and yet he also contributed much to the discipline of ornithology by discovering 25 new species. Bird books cover every continent and every species, and the content matter ranges from tiny hummingbirds to nine-foot ostriches. These books include drawings, paintings and photography as well as guides to identification and descriptions of their habitats. 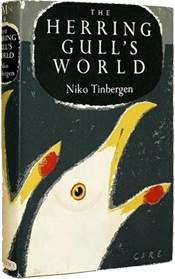 Even a small collection of bird books can take you around the world from the hedgerow finches of Britain to the desert owls of Southern Africa and the soaring eagles of Western Canada. Although birds play a major role in folklore, myths, and popular culture, this selection of books concentrates on their beauty and showcases mainly educational books from the past 120 years. Many copies are highly affordable. Covers 420 species. Published by Denver Museum of Natural History. 100 full page color reproductions of illustrations with descriptive text on the opposite page. New Naturalist Series, 20 b/w photographs and 41 drawings and diagrams. 42 color photos by Eric Hosking and others. More than 300 species from 1958-1985. Color illustrations by John A. Crosby and line drawings by S.D. MacDonald. 30 half-tone plates of which 27 are colored, 124 black and white drawings. 89 watercolors reproduced in full color as full-page plates. Illustrated with B&W sketches by Ernest Seton Thompson. Curlew, duck, goose, grouse, mallard, partridge, pheasant, pigeon, plover & more. Four volumes. Reprinted several times. 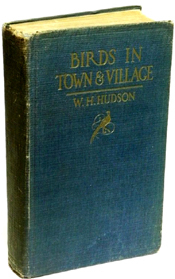 Illustrated by A. Thorburn. New Naturalist series – an examination of ancient bird beliefs with photos and illustrations. Shooting, natural history and game keeping, history and development of the grouse moors. Nearly 1,700 species and more than half of all the species of birds in South America. Waterside birds - wild geese, wading birds, terns & gulls, petrels & shearwaters, & more. Fabulous illustrations by one of the great ornithological painters. 16 pen and ink drawings by R. A. Richardson. Took author 27 years of study to compile. A monograph on the 12 species that inhabit the southern African sub-region. Features 44 of the 45 species of hummers that inhabit Costa Rica.